Uttar Pradesh will decide whether Prime Minister Modi will be re-elected. Uttar Pradesh accounts for 80 seats in the Lok Sabha. In 2014, the BJP won 73 seats along with its ally, Apna Dal. The Congress had only two, the BSP could not open its account and the Samajwadi Party had five. Mr. Modi knew the importance of UP so he decided to contest from Varanasi along with Vadodara in his home state from Gujarat. He was challenged by the then rising star of Indian politics, Arvind Kejriwal, but it was no contest. The opposition in 2014 was a divided house. The Samajwadi Party (SP and the BSP fought separately; in 2019, though, the scenario is different with the BSP and SP coming together along with the Rashtriya Lok Dal (RLD) of Ajit Singh. So the predictions are that this alliance will cost the BJP a serious number of seats and make Modi's return as PM difficult; but now, the sudden entry of Priyanka Gandhi into Uttar Pradesh has upset many calculations. Priyanka Gandhi is not new to politics. 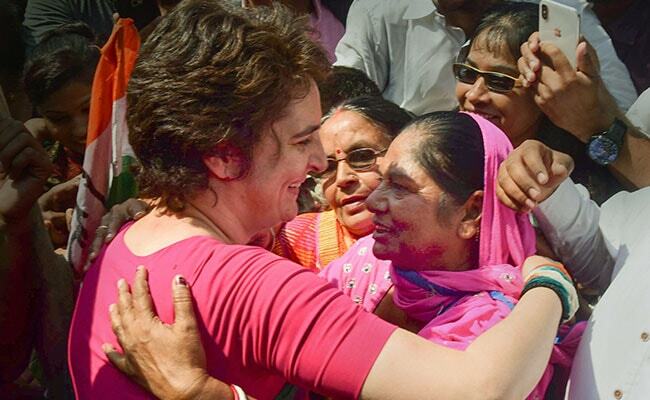 Till very recently, she had kept herself confined to the two constituencies of Amethi and Raebareli that are represented by her mother and brother in parliament, but last month, she was nominated General Secretary of the party in charge of Eastern UP. Since then, she has been touring UP, attracting a lot of media space too. She has just finished her four-day travel along the Ganga. Her journey was packed with symbolism. Before embarking on her boat ride, she spent the night at her ancestral house, Swaraj Bhawan, the epicenter of the freedom movement and this memory is etched in the mind space of local UP, especially the older generation. Many big decisions for the freedom movement were taken here. So without saying a word, she has conveyed to the larger audience that the Congress is a party which has a glorious past and which was at the forefront of the freedom struggle. This symbolism is particularly significant at a time when the RSS/BJP and the Modi government are publicly declaring that Congress is sympathetic to the cause of terrorists because it seeks proof of the Balakot air strike and that it "speaks the language of Pakistan". The Congress has also been accused of Muslim appeasement by Hindutva forces. The Congress is being blamed of ignoring Hindus. The RSS/BJP/Modi have over the years successfully projected the Congress as a party focused on Muslim-centric politics. It was for this reason that Rahul Gandhi has been temple-hopping since the Gujarat assembly elections. 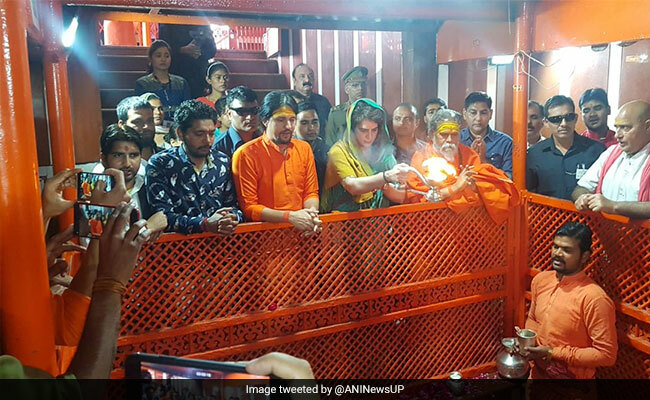 Priyanka has started her political journey by trying to eliminate any room for these sort of accusations by choosing the Ganga and projecting herself as a devout Hindu. Her visit to the Hanuman Temple before getting onto her boat is equally significant. Priyanka has always been compared to her grandmother, Indira Gandhi. Though it is yet to be seen if she is a worthy successor to her, the way she talks, mingles with people and demeanour makes it easy to draw an analogy. It is to be underlined that before she began her campaign in UP in 1979, Indira Gandhi visited the same Hanuman Temple in Allahabad. Just like her grandmother, Priyanka too covered her head and offered prayers to Lord Hanuman. She spoke to the women who had come to meet her in the local Awadhi dialect - "Hamka janti hau ka? (Do you know me?)" Indira was particularly popular among women voters. Priyanka Gandhi is trying to replicate that advantage. Other than the symbolism, her foray in UP has created ripples and a bit of uncertainty in the opposition camp. Even before the alliance of BSP and SP was announced , there was a call for the opposition to field a common candidate to defeat the BJP in 2019. It was felt that if the SP, the BSP and the Congress could come together, then the opposition would sweep the parliamentary polls. Ultimately, an SP-BSP alliance did happen but the Congress left out. With the announcement of Priyanka as the in-charge of Eastern UP, the Congress put on the table its ultimate "trump card", proving that it believes it can win much more than Amethi and Raebareli, the two seats that the SP-BSP allocated for it. The Congress cites the example of 2009 when the Congress won 22 seats and was ahead of both the BSP and the BJP. The Congress also believes that if the party has to regain its past glory as an all-India party, it has to strengthen itself in UP. Priyanka Gandhi's entry has given a new dimension to the electoral battle in UP. Now the battle seems to have turned triangular. It is expected that this will split anti-BJP votes and will finally benefit Modi, but one should not hasten to any conclusion. 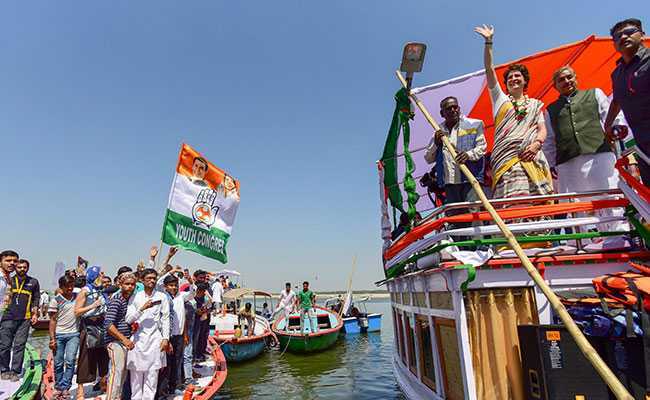 Priyanka Gandhi's tour across the Ganga tells a different story. She is targeting those castes of Dalit and OBCs who were lured by the BJP in 2014 and the 2017 state election. She has been interacting with marginalised castes including the Kurmis and Nishads. She has also met the sister of Bandit Queen Phoolan Devi, Rukmani Devi. If Priyanka succeeds in her strategy, she will also damage the BJP. It is assumed that a section of Brahmans are upset with BJP on the issue of the SC/ST Act - after the Supreme Court banned the immediate arrests of those accused of discriminating against Dalits, the Modi government was seen as intervening to circumvent the order which was liked by upper castes. Moreover the Brahmans also feel that with the swearing in of the Yogi Adityanath, a Thakur, their hold over the administration has weakened. This section of the community will not vote for the SP-BSP and now they have an option in the Congress. So it is difficult as of now to say that Priyanka will finally prove to be spoiler for the opposition. Her presence can damage the BJP too. It is still too early to reach any conclusion just yet. It all depends on how the election campaign pans out from both the camps.